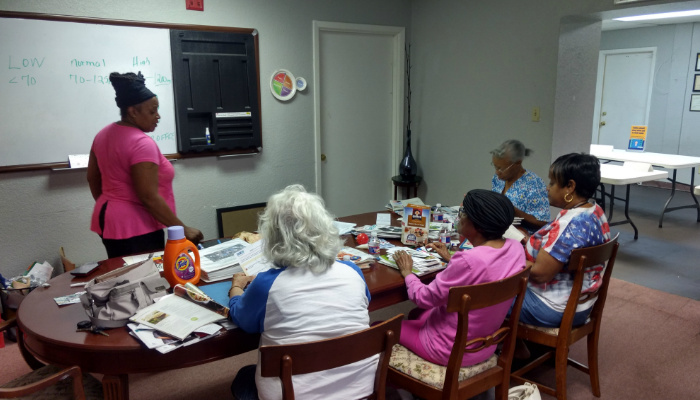 One Corner At A Time Wellness Group in Beaumont, TX offers a wide range of social services with a focus on diabetes education and prevention. We are dedicated to the overall wellbeing of clients diagnosed with or having a family history of diabetes, and we provide free classes to help them learn more about the condition and maintain healthy lifestyles. Our social services also include job coaching and placement support, personal development training, and parenting instruction. Read on to learn more! Classes meet once per week for 6 weeks. Participants will learn how to control their diabetes and live long, healthy lives. There are many rumors about what a person should do to manage or prevent diabetes, and our free classes are designed to provide proper, relevant information. We have qualified instructors that can help you control or avoid the condition. Sign up today, learn with likeminded individuals, and get quality diabetes education in an awesome learning atmosphere! Call us for more information. We provide job search and placement support for clients with disabilities and health conditions. We also develop relationships with local businesses and recommend competent employees they could hire. Employers are eligible to receive Work Opportunity Tax Credits when they hire any of our candidates. Please contact us to learn more! We perform employment searches for jobseekers. We provide coaches to personally assess clients and help prepare them for job interviews, transportation issues, and more. Once the candidates are hired, we continue working with them to help them as they transition into their new workplace. We assist families in visiting their children through court-supervised visitations. We offer classes that teach clients relevant social skills, helping them become more competitive in the job market. Our lessons help develop socially acceptable behaviors and restore confidence in participants, enabling them to achieve careers in the workforce. We offer a series of classes to help youth transition into the workforce. These courses range from communication skills, conflict resolution, and problem-solving to banking management, life skills, and more. We assist at-risk youth in solving problems without violence, and we help them develop and reach their dreams of success. We are starting these classes on January 26, 2019 @ 10:00AM to 12:00PM. Young people today don't listen to their parents because of three reasons: parents yell too much, they say the same thing over and over again, and they are too critical. Young people go on to say that, as a result, they learn to lie to their parents and just tell them what they want to hear. If you are a parent that falls into one of these categories, give us a call and we will set up a class just for you. We are starting these classes on January 26, 2019 @ 8:00AM to 10:00PM. Our mission is to enhance lives and change the world, and we do so by providing high-quality social services One Corner At A Time (OCAAT). Join our cause, and contact us for recommendations! We are always on the lookout for opportunities to serve communities and organizations that need our help. If you have further inquiries about our social services, please do not hesitate to get in touch with us.